The Bible warns that someday a period of unparalleled calamity will sweep over this planet. 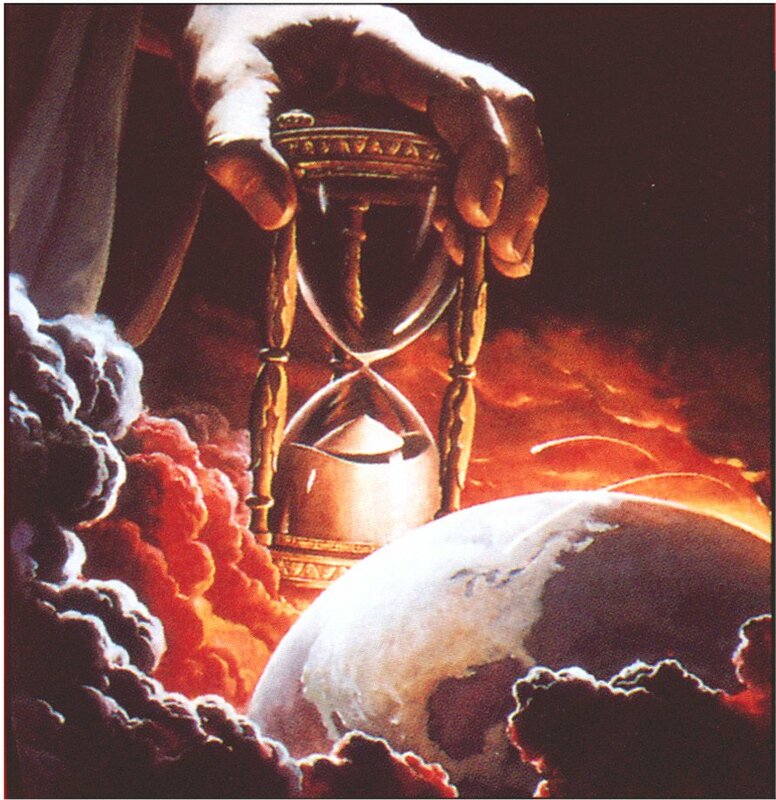 During the time commonly known as the Tribulation, the loss of life will be so great that nearly all the inhabitants of the earth will perish. With the Word of God making such a dire prediction, you would think that Christians would be extremely sensitive to any events that seem to match prophecy. According to Barna Research, 70 percent of the U.S. population believes that someday Jesus is coming back to earth. The same number of people are familiar with terms like: Tribulation, Antichrist, 666, or Armageddon and they realize their negative connotations. The understanding of prophecy may be very broad, but it is also extremely shallow. Everyone knows that 666, is a demonic number linked to the devil, but few people could tell you why it has a sinister association with evil. “But of that day and hour knoweth no man, no, not the angels of heaven, but my Father only” (Mathew 24:36). The one thing that helps me the most in being a last days watchman is keeping a record of how people’s reactions to world events has changed over the years. Back the 1980s, there was a continuous buzz over who might be the Antichrist. At any given time, there might be a dozen books in print that would point to a certain political leaders as being the Beast, of Revelation. Today, this type of speculation has almost completely evaporated. I have to laugh when I think of how the writers of three decades ago would react to the deeds of President Barack Obama. If you could transport him back to the 80s, it would be like feeding time for a pack of hungry lions. I’m equally amazed that Russian leader Vladimir Putin has largely escaped being assessed for how he would fit the roll of Gog. Putin has worked tirelessly to build alliances with Arab states that will make possible the Ezekiel 38 and 39 invasion of Northern Israel. When I lived in Bellevue, Nebraska, there was a Christian bookstore I visited at least once a month to see the latest books on prophecy. Every time there was a major world event, it was guaranteed that a book on the subject would reach the market in a few months. You fast-forward two decades to today, and the field of prophecy books is a desert. The pace of new prophecy books is now measured in how many are published in a year. One of the problems with prophetic awareness is that we have become too familiar with events that are related to the end-times. Back in the 1970s there was a huge amount of interest in all things related to the European Union. Back then, it was called the European Economic Community (EEC), and every time a new member was added there was great deal of excitement in prophecy. In 2013, the activity of this organization is oblivious to Bible scholars. Another end-time sign is that people have become dangerously cozy with the surveillance technology. When in the 90s, the city of London installed cameras on every major corner to help prevent crime, we in America were shocked by this Orwellian move. After the 911, terrorist attack, opposition to big Brother cameras faded, and they have become all pervasive. The massive disparity between the frequency of birth pangs and the general sense of apathy is what I have long-called the granddaddy of end-time indicators. I can trace consistent prophetic interest all the way back to the 1840s Miller movement. It doesn’t make sense for prophecy watchers to lose their focus, at the most critical moment in history. If we are drawing very near to the Rapture, it’s vital for us to keep doing that which will be the most productive for the kingdom of God. We stay productive at Rapture Ready because we don’t want to be the foolish servant that Jesus warned us about. “Who then is the faithful and wise servant, whom the master has put in charge of the servants in his household to give them their food at the proper time? It will be good for that servant whose master finds him doing so when he returns. I tell you the truth, he will put him in charge of all his possessions. But suppose that servant is wicked and says to himself, ‘My master is staying away a long time,’ and he then begins to beat his fellow servants and to eat and drink with drunkards. The master of that servant will come on a day when he does not expect him and at an hour he is not aware of. He will cut him to pieces and assign him a place with the hypocrites, where there will be weeping and gnashing of teeth” (Matthew 24:45-51). The Harbinger: America’s Destiny Unless We Repent! 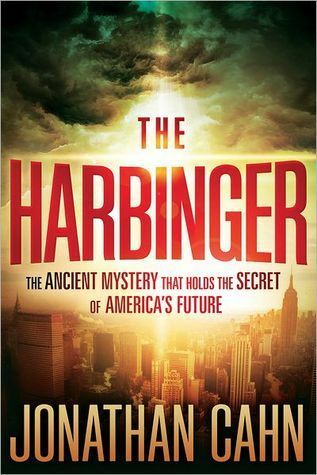 I have just started to again read through the book called The Harbinger by Jonathan Cahn. It is a pattern in Bible prophecy that is based on Isaiah 9:10. It is specific to the nation of Israel but holds significance for America in the pattern of judgment that came to Israel. Since we in America have been founded on Judeo-Christian principles and we have been blessed by the Lord abundantly and also have been used by Him to spread the Word around the world we fit this pattern. Israel was given the same blessings and the same charge to spread the Word. 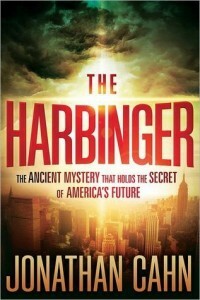 The Harbinger is not a book about doom and gloom. While that will most certainly be the case for America if we do not turn back to the Lord and repent, it is actually a call to repentance or an alarm being raised about our kingdom or the condition of our nation spiritually. The two key verses besides Isaiah 9:10 is Jeremiah 33:3 which talks about God wanting us to call on Him and that He will answer us if we do. The second passage is in Isaiah 55:6-11 in which God tells us to seek Him while He can still be found. He wants us to return to Him! He will have compassion and mercy on us! America needs to heed these words closely given our lack of faith and trust in Him. While God is indeed love , He is also holy and His holiness requires that sin be dealt with. The reason this is important is backed up Scripturally in Luke 13 where Jesus says of those who much have been given, much will be required. America fits this to the letter! The Lord has been slow to totally remove His hedge of protection from America, as there are alot of pure at heart, Bible loving, die for your faith Christians still here! We are headed quickly towards the decline and disappearance of the American kingdom and towards the Tribulation quickly unless we repent! Our hope is blessed! Titus tells us that event is the Rapture! But before our hope comes we need to be about reaching the lost while there is still time! A harbinger is the revealing of a mystery. An alarm for a nation. It is so precise and clear that we can not hope to miss the message the Lord is trying to tell us! The message of all watchmen, like the Old Testament prophets will not be meant to make you feel good, it is meant to warn you and turn you back to the one who loves you! As a watchman I am required by the book of Ezekiel to speak truth so I have. In the coming weeks as I continue on this journey in The Harbinger I will be posting new and exciting things that I have learned and feel burdened by the Lord to share.